Marianne is the author of Textiles in Motion and a juried member of the Studio Quilters Association. 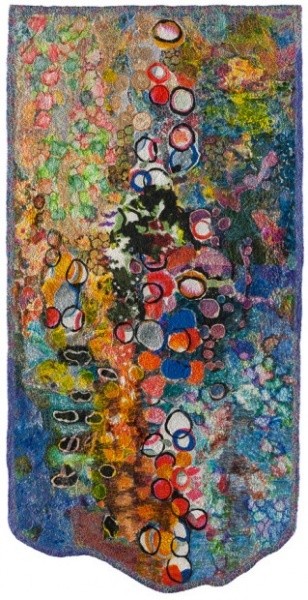 Over a career of more than 20 years, Marianne has incorporated her knowledge of painting and quilting into her wall hangings. The ever popular Linda O will return to Pennello Gallery with a summer jewelry trunk show. Kakadu sale!!! Live music and refreshments.